Not sure how to create positive changes in 2019? Don’t worry, I have a guide to get you started! I put together a crystal program to enhance every kind of intention that you may have for the new year. All you have to do is select the area of your life that you’re ready to work on. Then I’ll show you how you can create a positive shift in just 40 days! By pairing crystals or crystal jewelry with your intention, you’ll learn how to commit to change + self-improvement. Watch the full video below and read through to find examples of the intentions that you can set with crystals. Once you learn how to set your intention with crystals, you’ll be ready to start your very own 40-day crystal program to start the year on a high! First, let’s get clear on what your intention is. What is something that you want to improve on? A simple way to clarify your intention is to write down 5 goals that you have, and pick ONE to take action on today. Wear Your Crystals: Wearing crystals allows you to soak up their energy all day long. 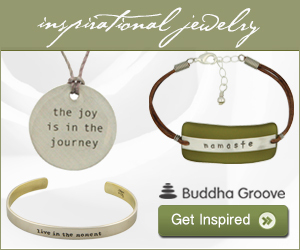 Crystal jewelry keeps you on track by vibrating with the energy of your goals. Carry Your Crystals: Carrying your stone in your pocket or purse means that it’s there for you when you need to take a moment, get back in touch with its positive energy and find your center. Place Your Crystals In Your Space: Having crystals in your space is ideal for creating an energetic atmosphere that suits your intention. It provides a visual reminder of the change you are committed to bringing about. You can choose one of these ways to work with crystals, or if you really want to strengthen your energy to get results, do all three! After selecting your crystal or crystal jewelry, you are ready to set your intention with the crystal! This aligns your energy with the energy of your stone to ensure that you are both working toward the same goal. I attract and radiate the energy of love. My mind, body and spirit are healthy. I release my stress and fill myself with the energy of light. How Long To Work On an Intention? I recommend working with crystals and your intention for 40 days. It may seem like a long time, but this is the amount of time needed to create lasting changes within your mindset. To help you track your progress, I’ve included a free, downloadable action plan to guide you along your journey. Use it to write down any realizations or tests to your resolve that surface over the next 40 days. When you create an action plan for yourself, and commit to the work you are doing with your crystals, the possibilities are limitless. I have been working with crystals for over 25 years and have seen some amazing stories from this community. I can’t wait for you to have one of your own. Share your intention with me in the comments below! it to several friends ans also sharing in delicious. And of course, thank you on your sweat! Next Next post: If you love someone, Tell Them!